Two views (below) from the same standpoint separated by 40 years. 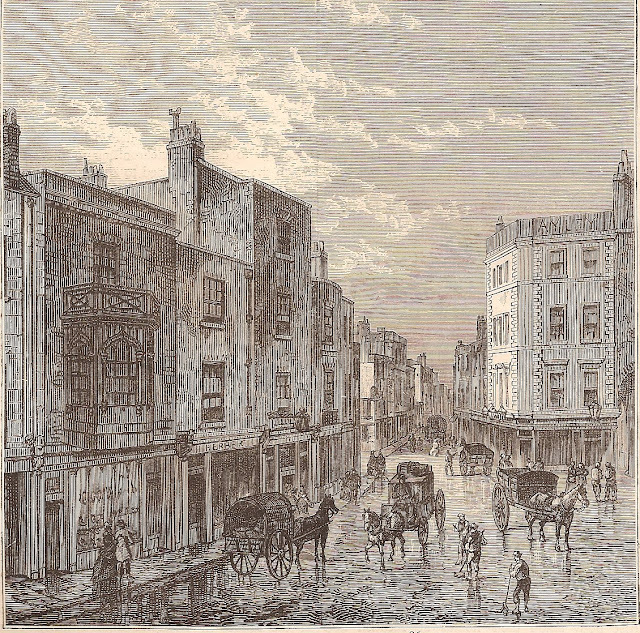 The first looks west along High Street Kensington and dates from 1860. The same scene 40-or-so years on (below) features the original John Barker’s department store in the left foreground of the photograph. 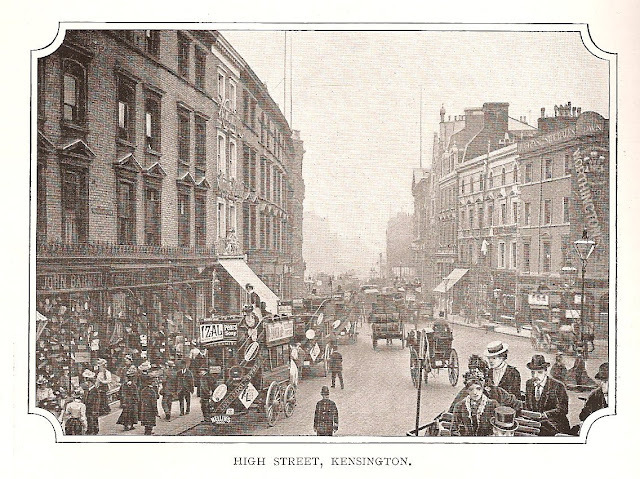 For a third view of Kensington, join the Old Kensington London Walk this Thursday at 2.00 p.m.